Lovely captures amidst the tree branches! 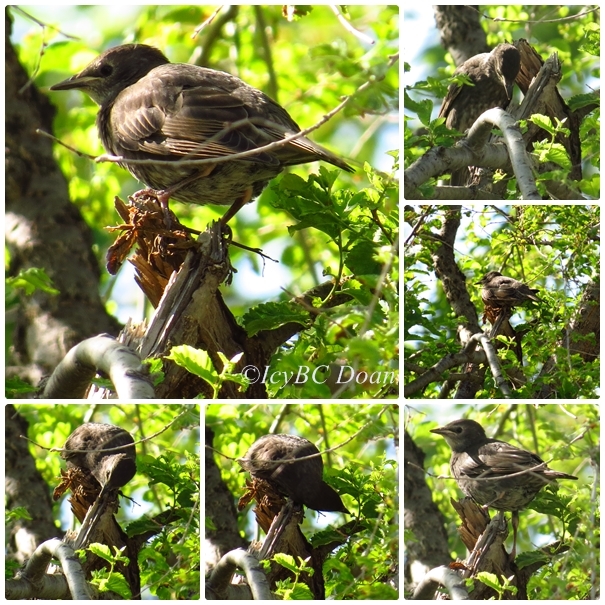 Love the mosaic, pretty shots of the Starling... Have a happy week! Great series of photos. Not sure about it being a starling. The starlings we get here are quite different. What pretty and sunny shots. Great shot!! Boom, Bobbi and Gary.